I featured Lola and the Boy Next Door on one of the first Weekend Aesthetics, so I’m excited to share an aesthetic of Isla and the Happily Ever After this week. Isla is a fun novel as it takes place in a few cities—New York, Paris, and Barcelona. I’m actually traveling to Barcelona in a couple of days, which is why I wanted to feature Isla this weekend! 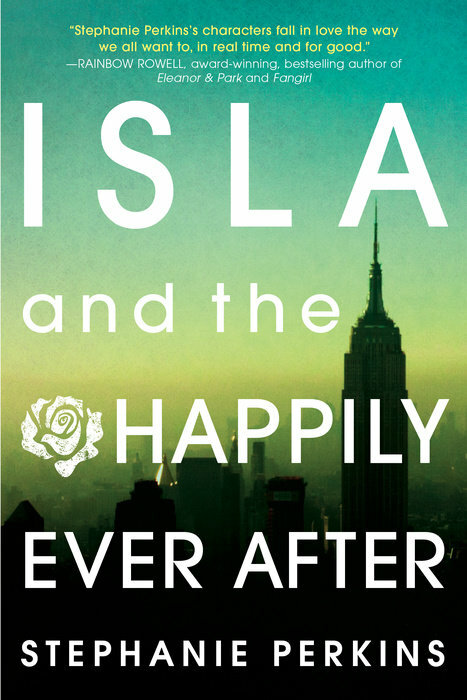 Have you read Isla and the Happily Ever After? What do you think of this aesthetic? This was my favorite book in the series. I adored the two crazy kids in love storyline, but also thought the very end was a nice farewell to the series, and it was sweet of Perkins to give us that. You did a good job incorporating some of the important elements from the story. Love the compass. It’s hard for me to choose a favorite from the series as I enjoyed them all for different reasons. I really did like that the couple got together at the beginning in Isla and definitely the cameo of all the characters at the end!